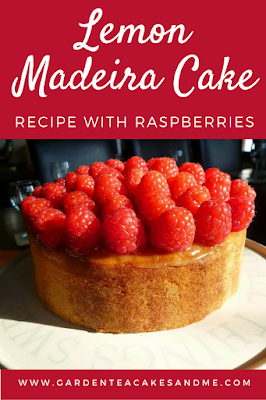 This Lemon Madeira cake with raspberries turned out to be the perfect choice for a travelling birthday cake. It needed to make it safely from Shropshire to South Devon during the recent heatwave we experienced. I felt a standard sandwich cake with butter cream would not fair well in the heat. 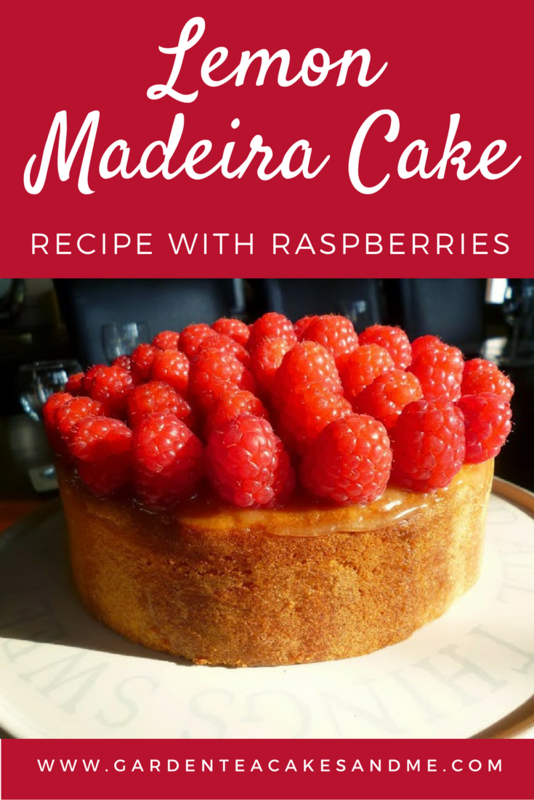 I tweaked a standard Madeira recipe to include lemon zest and juice, topped with lemon curd and fresh raspberries. Beat together the butter and caster sugar, until light and creamy. Add the eggs in gradually and beat until combined. Add the flour and combine gently, then stir in the lemon zest and juice. Bake in the oven for 1 hour 15 minutes 160 degrees C.
Whilst the cake is baking in the oven mix together the lemon juice with the icing sugar, you can warm the lemon juice in the microwave first if you prefer. Once the cake is out of the oven, use a skewer to stab the top of the cake then drizzle the lemon syrup over the top. I chose not to use all of my lemon syrup as I did not want the cake to be too sticky because of transporting it. Once the cake has cooled carefully take out of the tin, my tin had a loose bottom so it easily came out and I also removed it before it had cooled fully - naughty of me I know. Once I arrived at Devon I topped the cake with lemon curd and raspberries - simple and effective. Oh and did I mention it was also very tasty! Sounds delish! Lovely blend of flavours. Yum.